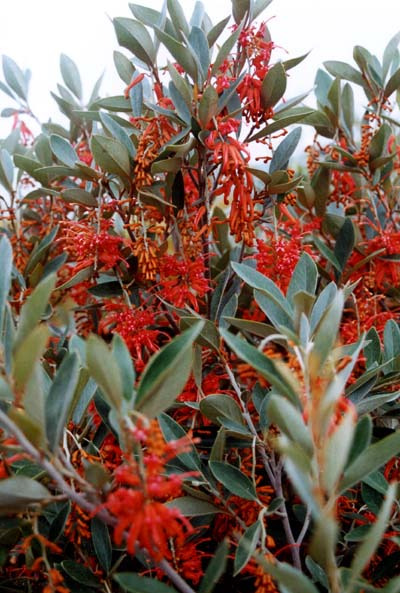 A very ornamental olive green shrub with beautiful orange-red flowers appearing winter-spring. Great hummingbird attractor and screen or hedge. Can be difficult to establish in Southern California - so I am told! It seems to thrive as far north as Seattle, WA.